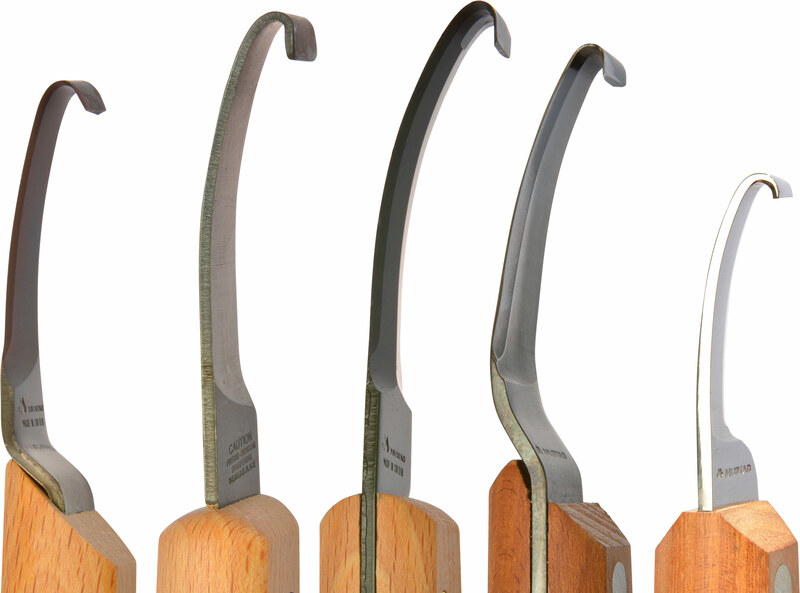 There are five different Mustad hoof knives which feature different blade types. Standard blade, short blade, curved blade, and wide blade which all come in left and right-hand versions. All knives are made in Sweden from high-quality steel and stand out because of their solid and long lasting geometrics. 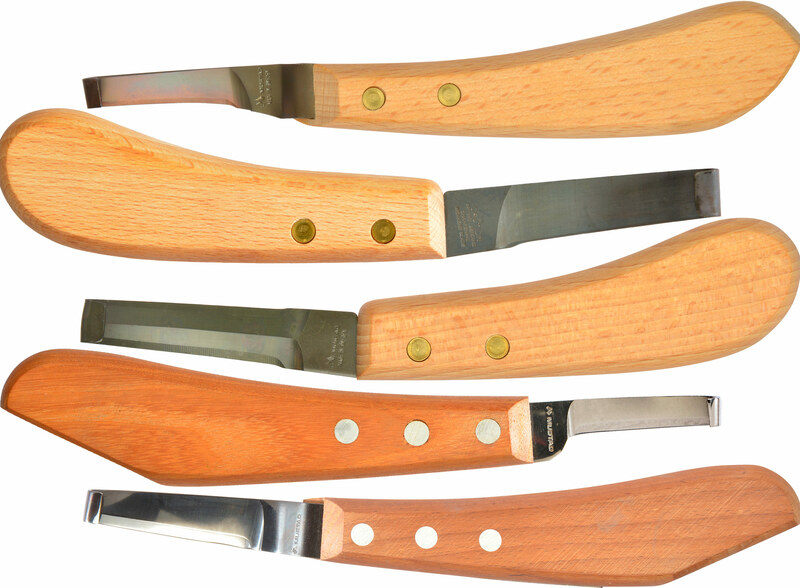 The ergonomically shaped wooden handles have a comfortable grip and enable a good transmission of power to the blade.